I know I mainly post makeup reviews and swatches on my blog, but I’ve gotten a lot of questions on my skin care routine and as it has been constantly changing, I’m finally at a place where I am really content with it and I absolutely love and swear by all the products I use and will be talking to you about. They are all decently affordable in my opinion and the best part is, they are all natural – no nasty chemicals or things you can’t pronounce in them. I know in the makeup industry there are tons of products filled with chemicals and things which just aren’t so great for our skin. I figured since I probably use a lot of chemicals in my actual makeup products, I might as well make up for that when I cleanse and take care of my skin. 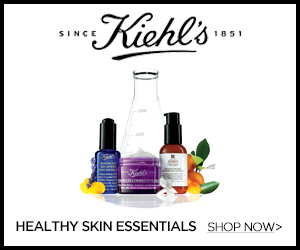 I don’t use these products just for the fact that they’re natural (although it’s a definite plus), I use them because I have truly seen an improvement in my skin and I trust these products completely. These are the only 4 things I use in my skin care routine. It’s simple, easy and affordable. I truly believe that this soap has improved my skin a LOT. This is Dr. Bronner’s Castile Soap which is an all-natural, vegan and organic vegetable-based soap. It’s made up of all natural oils and can be used for a multitude of things. I use this soap for many things, but have found it especially good as my face wash. It honestly takes off ALL of my makeup – and if you know me, I wear a lot of makeup. Since it’s made up of natural oils, it leaves your face squeaky clean but your skin doesn’t feel dry at the end of it which I LOVE. 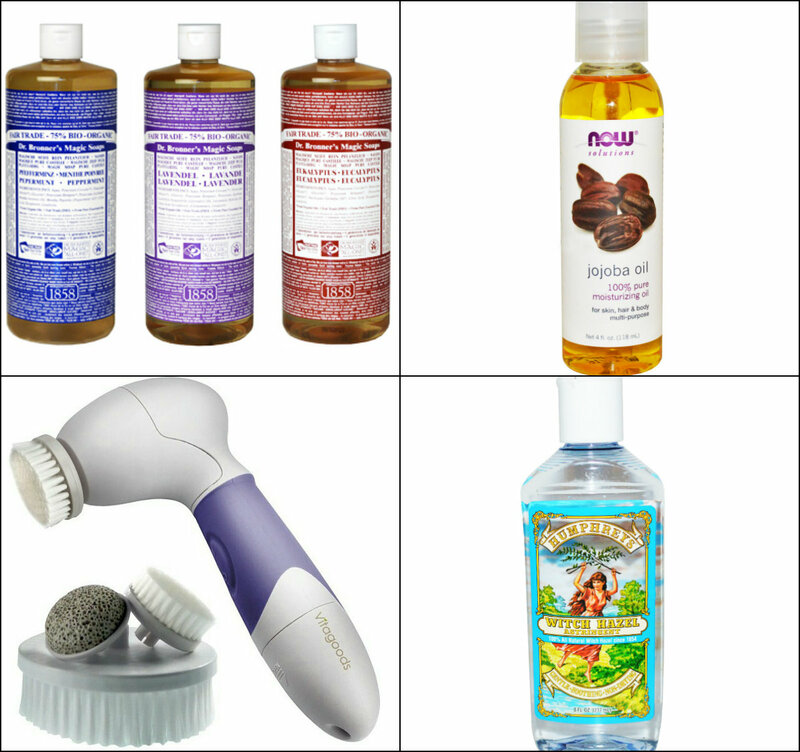 I prefer the Dr. Bronner’s castile soap, but there are many other companies that make it as well. I feel that Dr. Bronner’s is more strong and I just feel the quality of the soap is the best compared to other brands I’ve tried. You can buy the soap in liquid form or even in bar form, but I personally use and prefer the liquid form. The only problem is it can be quite messy to use in liquid form so I use a foam soap dispenser and it really makes using this liquid soap way easier. I’d definitely recommend getting a foam soap dispenser (I used an empty one of my Bath and Body foam soaps but you can even buy foam dispensers on Amazon Foam Soap Dispenser Dr. Bronner’s soaps come in many different scents, (which are made with natural essential oils – no unnatural fragrances here). For my face I really love the Tea Tree infused one and the Lavender one, as I feel it’s good for any acne or blemishes but that is up to personal preference and what works for you. They also sell a non-infused one which is just the pure castile soap without any essential oils if you don’t like any scents. You can buy these soaps in different sizes, which is good if you want to try out the different scented/infused ones to see which ones work best for you. I buy mine off of Amazon Dr. Bronner’s Castile Soap or I go to Whole Foods to get it. I usually buy the 32 oz bottles because I use a lot of this soap (even as a body wash & to wash my makeup brushes etc) and the 32 oz bottle is around $16.00. I think that’s an awesome price for how much soap you are getting – this stuff lasts a long time and you can even dilute it to make it last even longer. As I said theres many other sizes you can buy for cheaper to try out all of the different kinds. I truly swear by this soap and see it being part of my skin care routine forever. This is the Vanity Planet “Spin for Perfect Skin” brush. I’m sure you’ve seen tons of these spinning/vibrating brushes and they can be quite expensive. I used to have the Clarisonic but I definitely returned mine after trying this one and seeing that it is a fraction of the price of that one and honestly I feel this one is even better. It really does the trick and it is so much cheaper than other spin brushes out there. 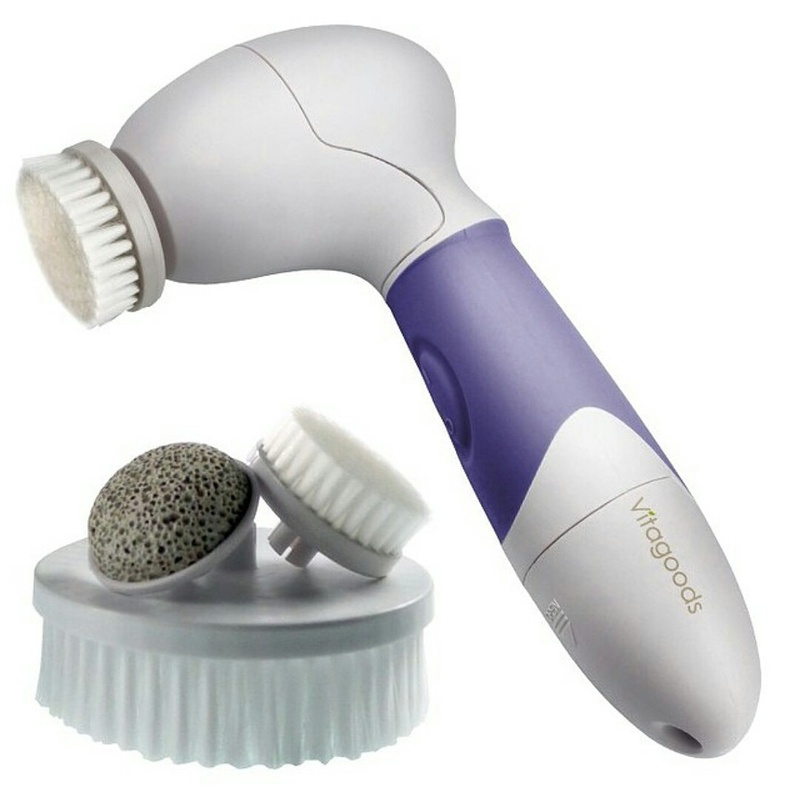 This also comes with 4 brush heads and one of them is a pumice stone which is awesome for dry skin around your feet. I love how it comes with so many different sized brushes which makes it such a versatile product. It exfoliates my skin without being too abrasive & there’s different brushes so you can pick and choose. I use this brush with my castile soap for my face about 2 times a week or 3 times if I really need the extra exfoliation. The best part is that it’s so cheap. The company hooked me up with an amazing code to make this brush system ONLY $30.00. When I saw the price I was actually shocked, because that’s the cheapest I’ve seen for a brush system like this one. If you use the code “JALLURES” you will get a 70% off discount which would make the total cost be $30.00 in total and free U.S shipping. Such a steal. You can order it online from their website. I’m sure many of you have used those really strong & alcohol smelling toners/astringents in the past that can be way too strong and drying especially for sensitive skin. I’ve definitely used my fair share. 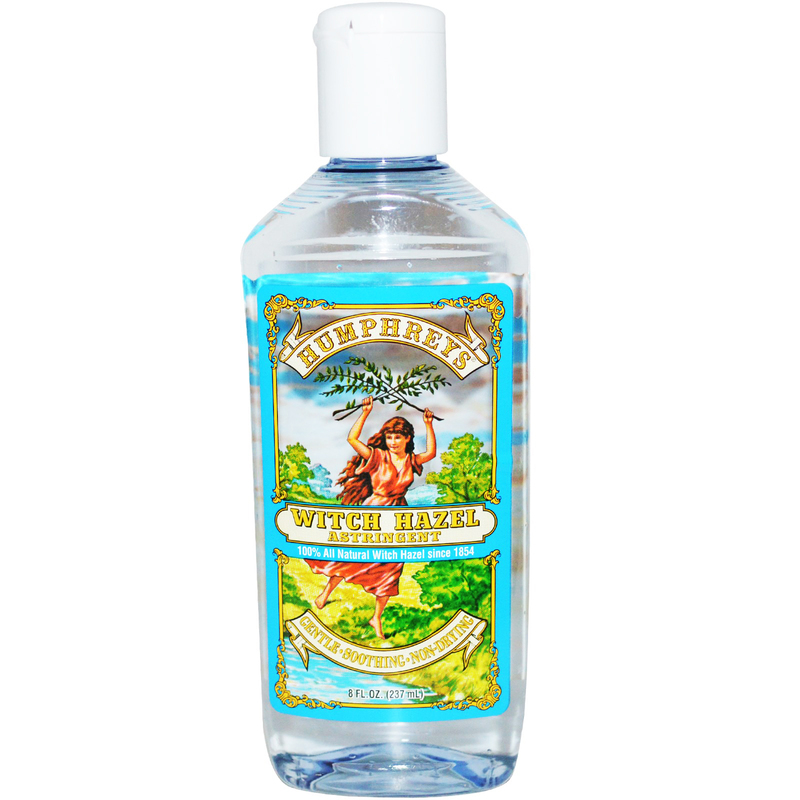 Then comes this 100% natural Witch Hazel astringent by Humphrey’s. I like this brand as I trust it and it’s what I’m used to. Witch Hazel has tons of benefits for the skin. 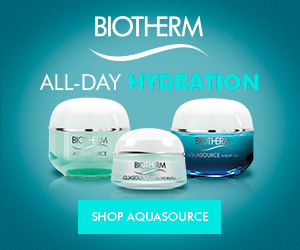 It’s said to “penetrate deep into pores, removing dirt, oil and makeup – leaving skin soft, smooth and younger looking – without overdrying.” I believe that statement to be true, as this is the one astringent I’ve used that doesn’t leave my sensitive skin feeling dry and just not very nice. I love this one because for one it’s natural and I’ve noticed an improvement in my skin overall when I use this. After I wash my face I put some of this on a cotton pad and just rub it all over my face gently to remove any excess oils or dirt and I find it really improves any acne or blemishes that might be forming or that you already have. Witch hazel is said to shrink down pores and “reduce the amount of contaminants that enter pores and, consequently, the amount and severity of blemishes. Also, because astringents remove excess oil, regular use of witch hazel may further prevent blemishes, especially black heads which result from dried sebum build-up in pores.” I really love it and it’s a definite staple in my skin care routine. I buy mine off of Amazon Humphrey’s Witch Hazel Astringent, 16 Ounce and it’s only $8.24 for 16 oz. for about $9.00 to $10.00 which is pretty decently priced. 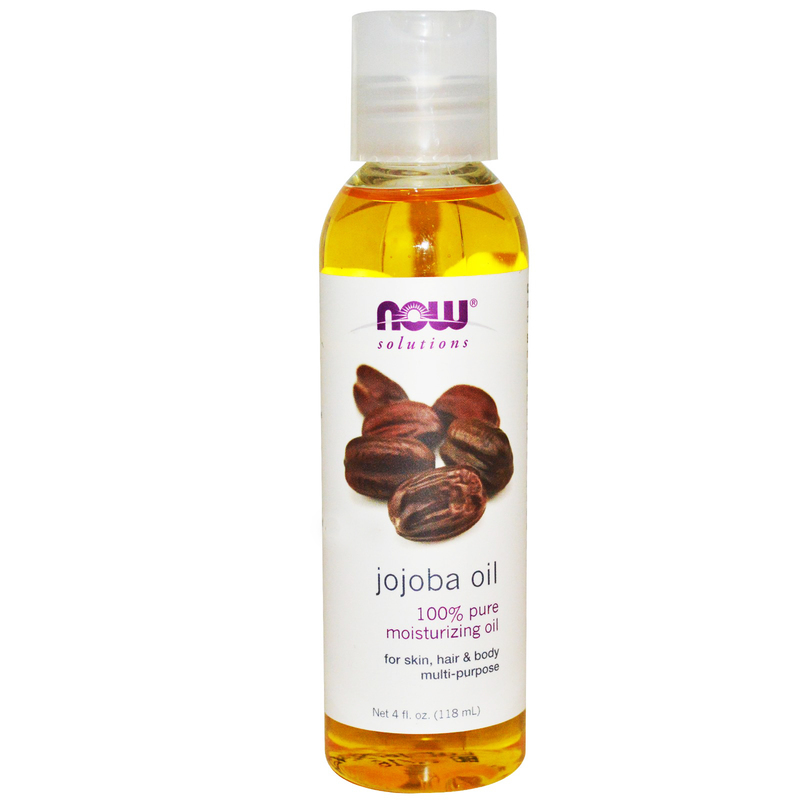 You can find jojoba oil in your local health food stores also. Jojoba oil is packed with almost all of the vitamins and minerals needed for healthy hair and skin, namely vitamin E, B-complex, copper, zinc etc. It’s known to be gentle enough for those with sensitive skin (like myself) and shouldn’t cause any allergic reactions. That’s what I really love about this oil. It does not make me break out which a lot of those intense, thick oils I’ve tried have. It states that “Jojoba oil is actually not an oil, but a liquid wax. It’s a melted type of vegetable wax and is found in the seeds/nuts of jojoba plant”. It’s also said that jojoba oil is the only oil that closely resembles human sebum – an oily substance naturally produced by the oil glands below the skin surface, so its uses and benefits to the skin and hair are high. I love it because it’s amazing as a face and skin moisturizer and it’s also great to put in the ends of your hair to keep it healthy. It’s another awesome versatile product and I literally could not live without it. You can read all about the benefits of jojoba oil here if you want more information about it. I use this oil after I wash my face in the morning and at night time and it’s the only moisturizer I use/need. I really recommend it to everyone as there’s so many countless benefits of this oil and especially for acne prone skin as it helps fade scares and is just overall good for acne prone skin. Not only is it natural and beneficial but the price point is amazing. There it is guys, I know I wrote a lot but I’m very passionate about these products I’m using and cannot recommend them enough. If you’ve used them or have anything else you recommend let me know what works for you! I hope I you can take something from this post and maybe I helped you learn about something new. If you try any of these products out let me know how they work for you!